DU Speed Booster - Soft for Android– Free download. DU Speed Booster - Give your device a boost. 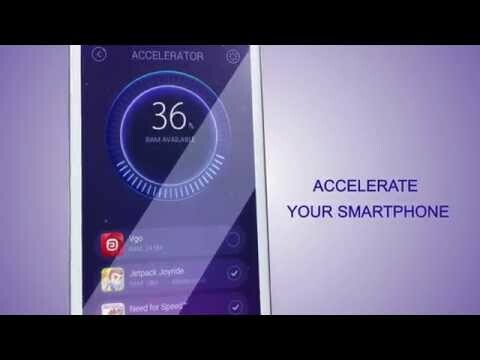 DU Speed Booster for Android is an app that will give your gizmo a boost by freeing up RAM, cpu and wasted disk space. And it works. The app itself is fluid, with a fun interface that makes speed-boosting so easy that you'll likely do it a couple of times a day. Although my phone is 2 years old, I've only noticed a slowdown during start up. I was impressed that DU Speed Booster actually made my phone boot up more quickly. Because it gets rid of all kinds of cache, some widgets no longer had information preloaded until I tapped them; but my phone was ready for action much faster. That's exactly what I wanted. By default DU Speed Booster has a floating window which is also an indicator of how optimised your device is currently. From here you can boost your device with one tap, toggle some quick settings (customisable), launch the full app, or launch any games (or other apps) you have added to the games booster. The Games Booster feature stops other apps while you are playing your game. You can also schedule boosts to happen automatically, e.g. every hour, or 10 minutes after your screen goes off. And you can select any apps to be 'protected' (to never stopped by speed booster). There's a widget available if you prefer that to the floating window. DU Speed Booster is for real. Simply closing apps is not enough to stop tasks running in the background. Using this app periodically will also help extend battery life. This makes it a good complement to apps that optimise battery life by switching down settings. Not compatable for galaxy tab s.